If you're a fan of the song "Milkshake", then you're probably going to blast it after hearing this exciting news. Reportedly, singer Kelis is pregnant with her second child, or so it seems based on pictures that surfaced Saturday. While performing at the Afropunk Festival in Brooklyn, New York, the 36-year-old musician stepped out sporting what appears to be a baby bump. Per E! News, "multiple sources" confirmed the pregnancy. An insider also told the website, "She is really excited about her pregnancy. She has a great support system from her family and friends. She is in really amazing spirits." The insider also said, "She had a great time at Afropunk this weekend and will continue to perform as long as she feels good." Another source told E! News, "She is several months along and feeling great." It seems pretty obvious, especially if you look at the photos, that she is most definitely pregnant, but Kelis has yet to confirm the news herself. If the news is true, this will be the second child for the singer. She is already mom to six-year-old son Knight, who shares with her former husband rapper Nas. Bustle has reached out to Kelis' rep for comment, but has not yet heard back. Anyone else love the fact that Kelis seemingly pulled a Beyoncé? Remember when Beyoncé announced her pregnancy at the 2011 MTV Video Music Awards? She showed up on the red carpet with an unexpected accessory, her baby bump, and suddenly the entire world knew she was expecting. 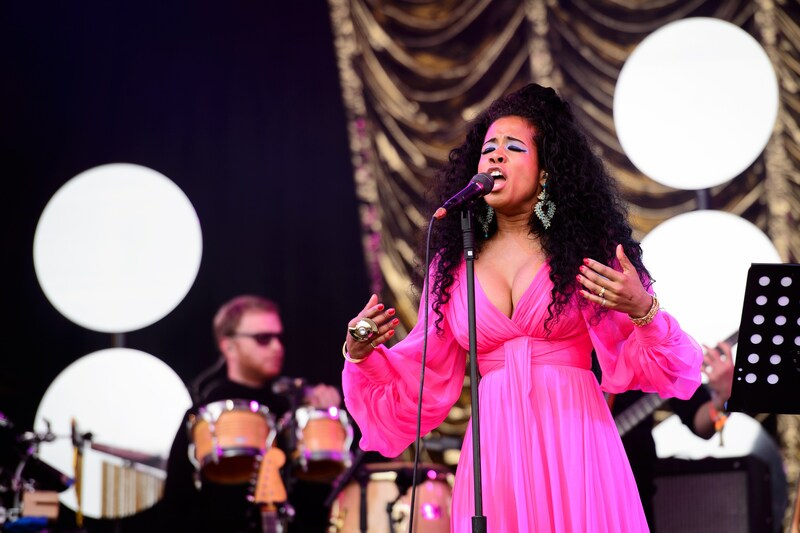 Yep, it looks like Kelis is letting her inner Beyoncé shine. If the "Bossy" performer is indeed expecting, let's send her some warm wishes on what sure looks like a future addition.